Move-In Ready and shows like a model in beautiful Avalon Reserve. Built in 2014, this nearly new home has it all: versatile open-layout, split plan w/ 3 bedrooms/2.5 baths on the first floor and a private guest suite/bonus room or loft on the second. Foyer entry opens to a formal dining room & a formal living room/office & powder room. The 1st-floor Master-Suite features a walk-in closet with custom organizers, dual-sinks, garden tub & separate shower. The upgraded kitchen features 42” cabinets w/crown molding, glass subway tile backsplash, stainless steel appliances, natural gas stove, massive breakfast bar w/seating for 7 and a convenient butler’s pantry/drop zone. Open to the kitchen you’ll find the generous great room w/sliding doors to the covered lanai & private back yard w/no rear neighbors & room for a pool. The guest bedrooms are separated by a flex space that is perfect for a nursery/study or 2nd office. Upstairs in the private guest suite/loft, you’ll find a full bath, walk-in closet & dual zone AC. Additional upgrades include paver drive & entry, extended front porch, 5” baseboards, 9’ ceilings, designer paint & light fixtures, granite counters throughout kitchen & baths, ceramic tile & wood floors in all living areas, 1st-floor laundry, and a two-car garage. 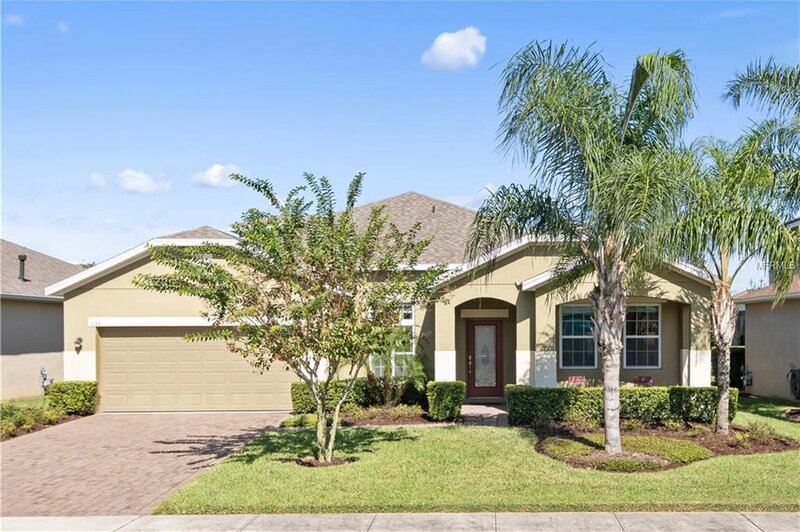 Located in a top-rated school zone & just minutes to all the shops & restaurants of historic downtown Winter Garden, Winter Garden Village & the new Hamlin Town Center. Quick access to the 429, 408 & Turnpike makes for easy commuting. Listing courtesy of EXP REALTY LLC. Selling Office: ERA GRIZZARD REAL ESTATE.